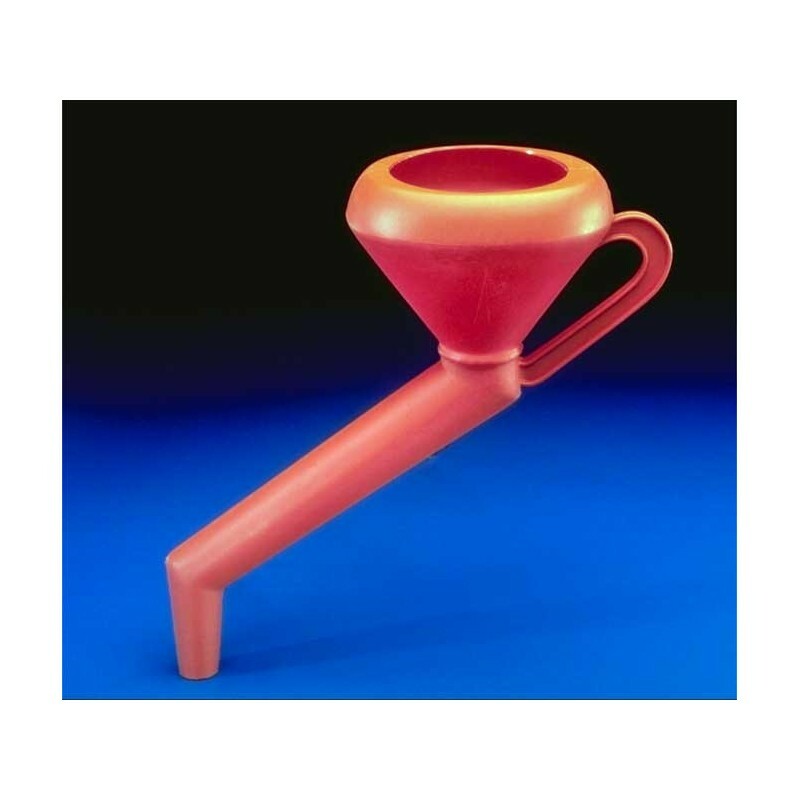 An OFFSET STEM FUNNEL makes hard-to-reach filler caps easily accessible when transferring solvents or other fluids. 2" (51 mm) fine mesh, bronze filter screen traps contaminants, and can easily be removed for cleaning. 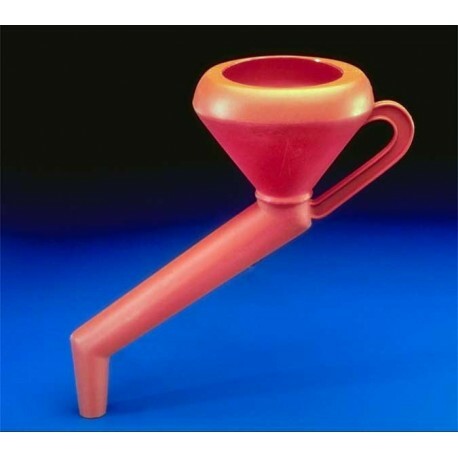 Inward-flanged bowl tip prevents spills. Stem is offset 8" (204 mm) center-to-center at a 60º angle from vertical and tapers to 7/8" (2 mm). Includes reinforced handle. 1 qt (1 L) capacity. 5" x 6" (127 mm x 152 mm) oval top opening, 4" (102 mm) deep cone.